Whether it’s waterfalls or a great adventure that you are after, this list is sure to bring you both. 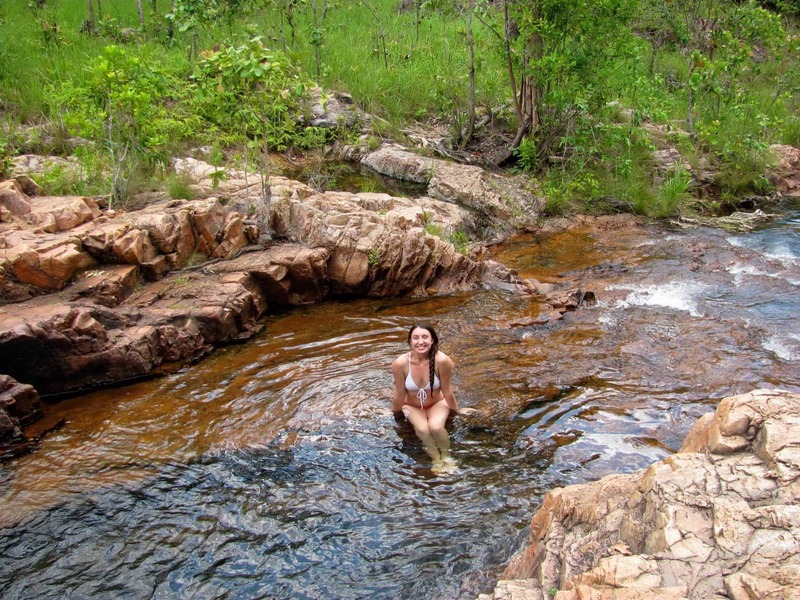 We’ve all heard of the famous Niagara Falls, Victoria Falls and Iguazu Falls, but what about the much less talked about and more hidden waterfalls of the world? The Havasupai Falls are a series of 4 waterfalls (Navajo, Mooney, Beaver, and Havasu) located in the Havasupai Indian Reservation at the bottom of the Grand Canyon. Each waterfall is unique and stunning in its own right. The high concentration of travertine in the Havasu Creek gives the water hues of turquoise and a glow that you have to see to believe! As you walk down the 10-mile dusty canyon trail alongside mules carrying bags and the occasional pack of wild horses, you may wonder what you got yourself into. Until suddenly you hear the roar of water hitting ground and a lush oasis will appear before your eyes, beautiful enough to be a mirage, and so out of place that you will wonder if it was photoshopped into the desert backdrop. Only then will you understand why this is one of the best-kept secrets of the world and why it is my favorite waterfall. 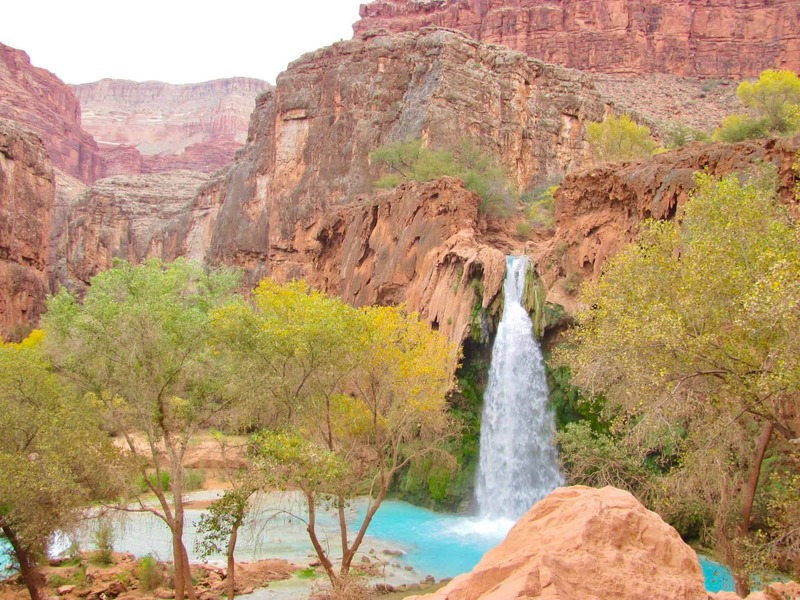 Somewhere between your swim in the Avataresqe pool below Havasu falls, and your climb through the steep cave to get to the giant Mooney Falls, you’ll fall in love with backpacking and realize why the Grand Canyon is indeed so “grand”. 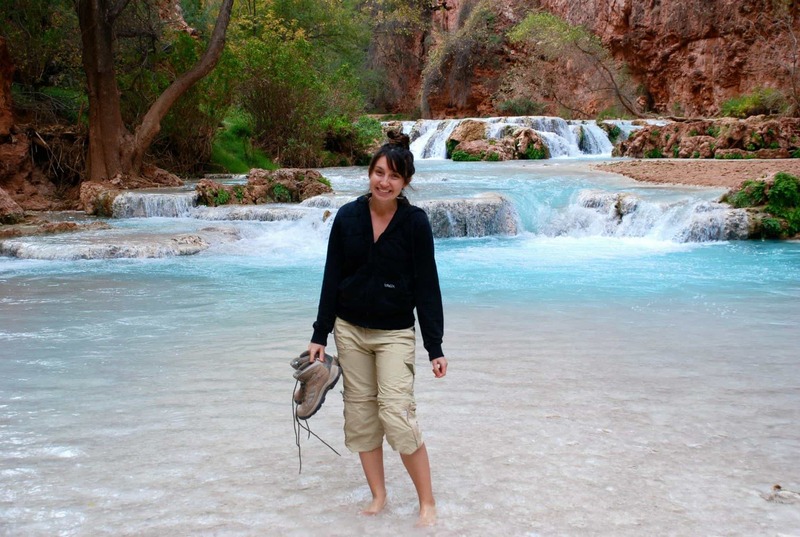 Hike, helicopter, or go horseback down to Supai Village and camp anywhere along the creek for an unforgettable and life-changing experience. The trail begins at Hualapai Hilltop, about 191 miles from Grand Canyon Village and 66 miles from Peach Springs. Don’t forget to make a camping reservation (reservations typically sell out within one day for the entire year). Register for campground reservation updates here. 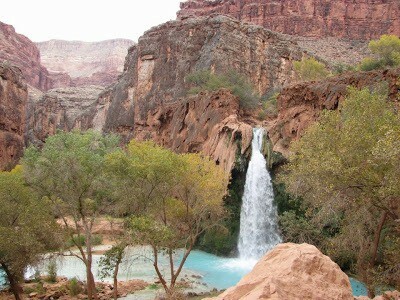 For those looking for a less rustic experience, there is also the Havasupai Lodge. For contact information, maps and fees, visit the National Park Service Website. 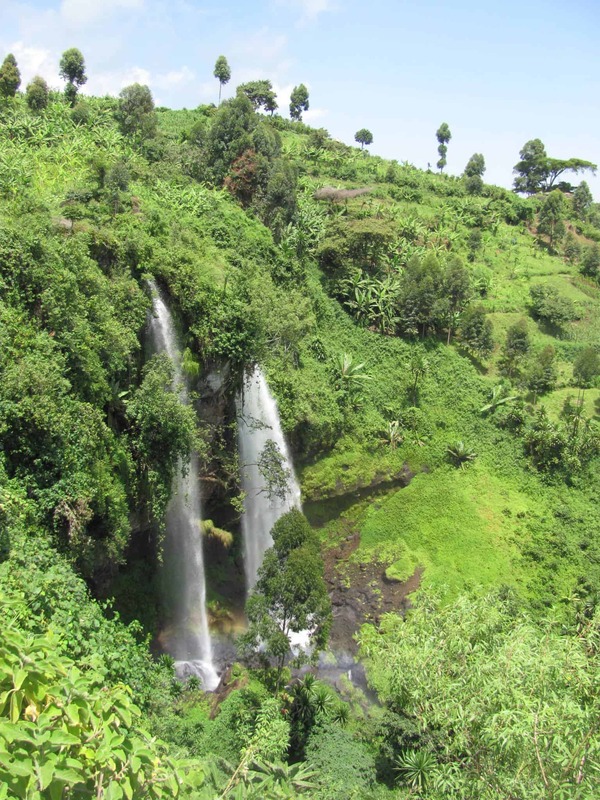 Sipi Falls are 3 waterfalls near Mount Elgon National Park in Eastern Uganda with a Jurassic Park-esque landscape. 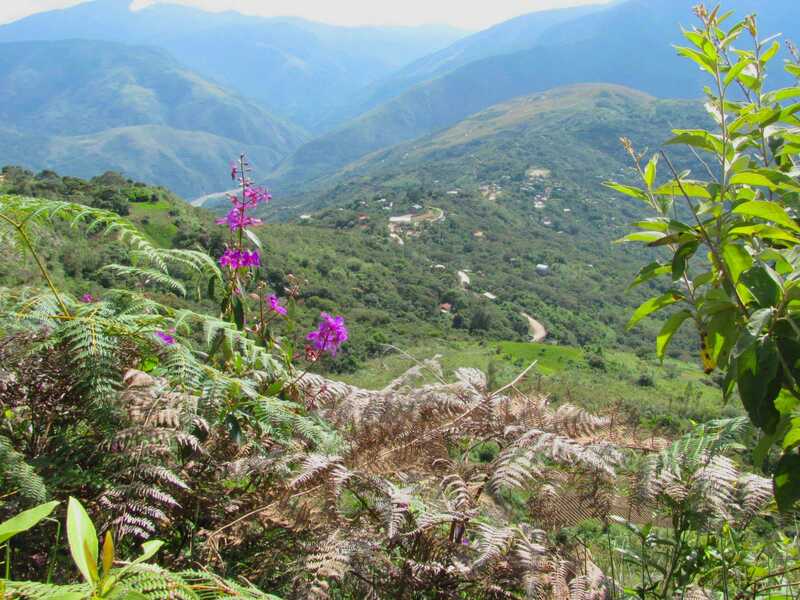 You can arrange guided day hikes through any number of local tour agencies and spend the night at Lacam Lodge with scenic views. 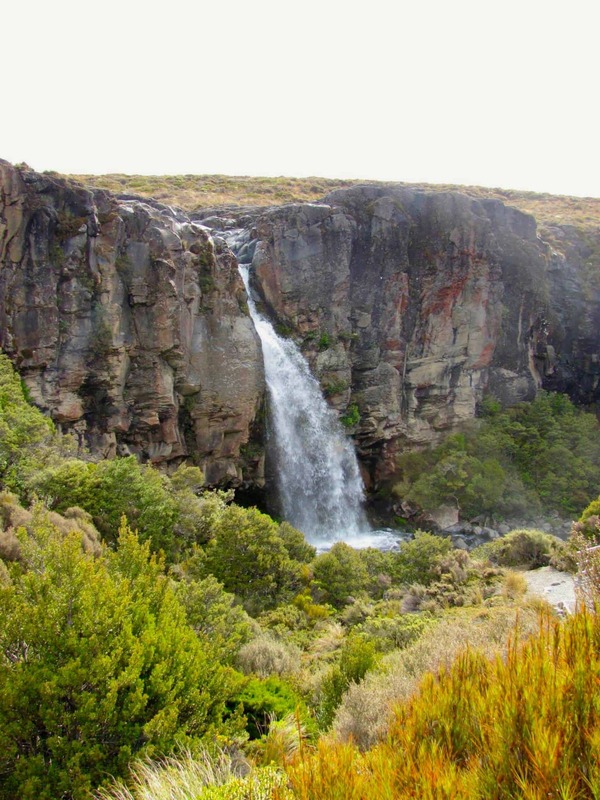 The hike consists of a relatively steep and muddy adventure to the three different but equally beautiful and magnificent waterfalls. 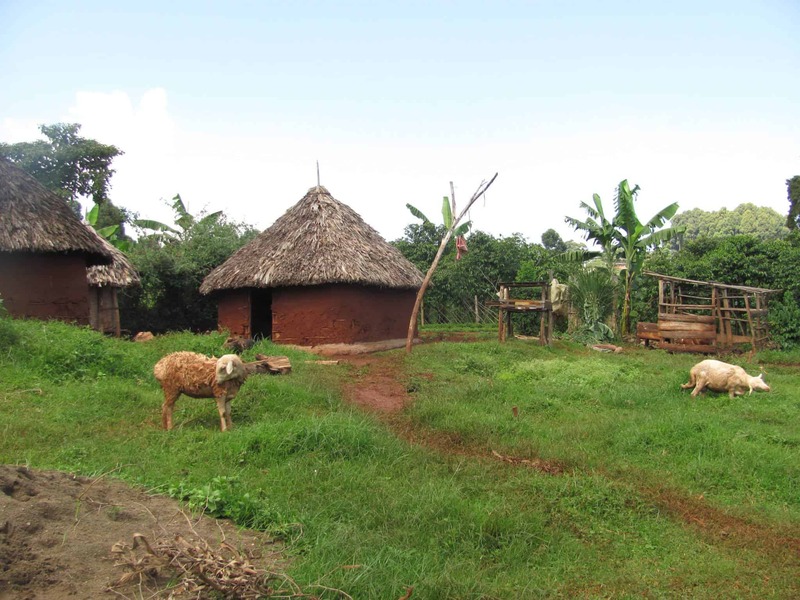 The landscape is lush, and you pass through a few villages with friendly children who will greet you with eager “jambos”! As you walk through the magical landscape that will bring new meaning to the color green, you will feel more alive than ever before as you soak in the culture and lives playing out around you and the power of the water charging it all. 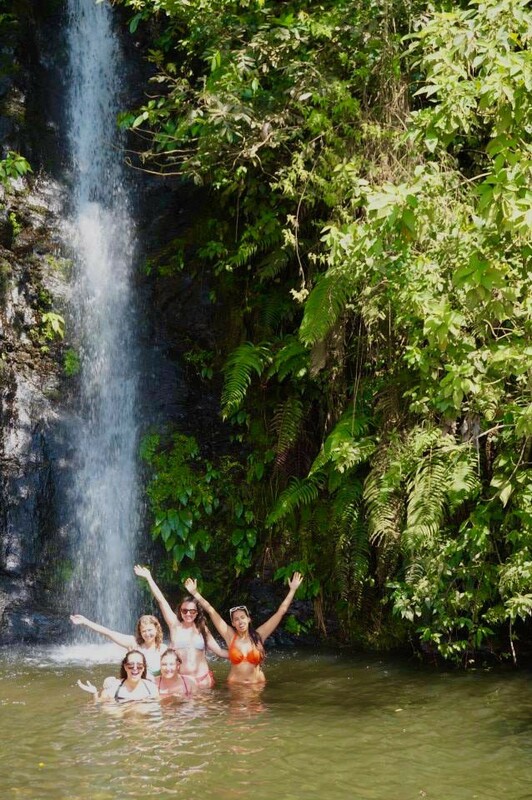 Don’t miss the secret photo opportunities in the cave behind the first waterfall, and in the pool above the second falls where you can peak over the edge and feel like you are on top of the world! Then finish off your day with a wonderful Ugandan style feast at the lodge overlooking the falls and reflect on all that you’ve seen. Tarananki is a 20-meter waterfall located in Tongariro National Park in the center of the North Island of New Zealand. The 2-hour loop to get there flaunts views of 3 active volcanoes Mt. Ruapehu, Mt. Ngauruhoe and Mt. Tongariro. 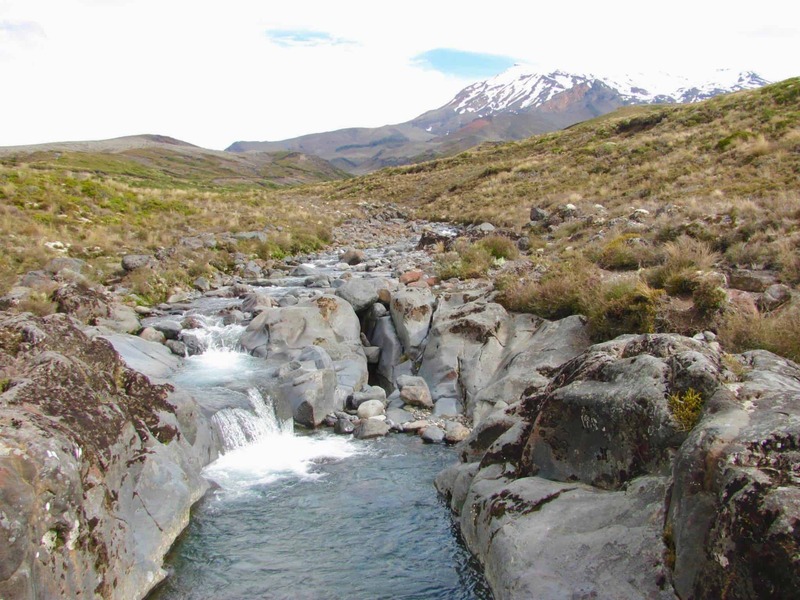 The trail itself is home to some stark and eery landscape that you might recognize from Lord of the Rings, but the vast views of the barren scenery will make the Earth feel infinite. You can get views from the edge above the falls and also swim below in the large lava formed ring of rocks that the falls pour into. For more information on getting there: Check out New Zealand Waterfalls. 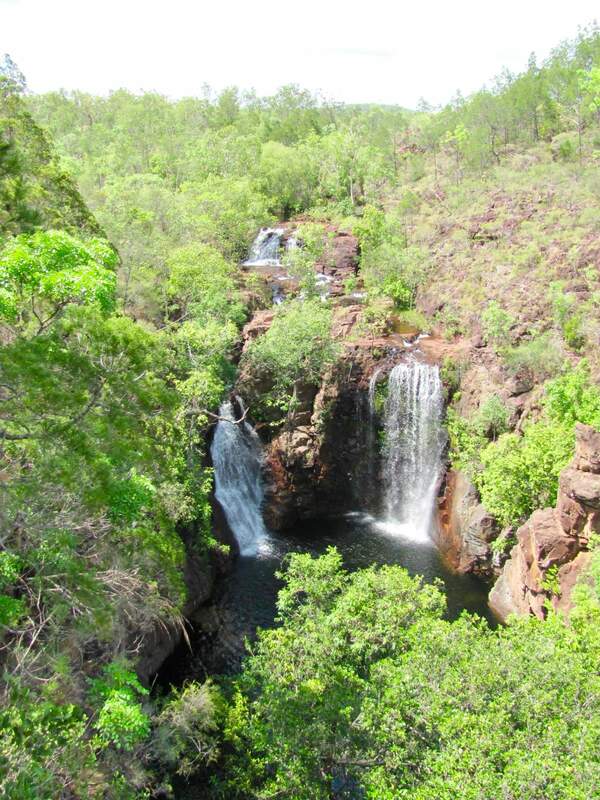 Wangi Falls, Florence Falls, Tomer Falls and Buley Rockhole are some of the many impressive waterfalls inside Litchfield National park (100 km SW of Darwin). 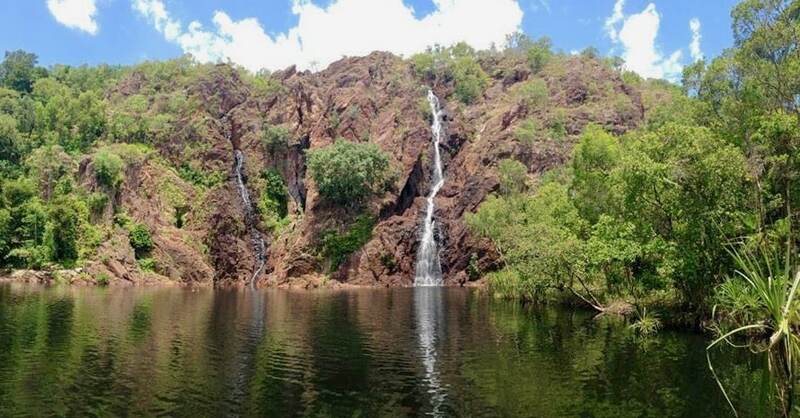 After a day tour of all the Litchfield waterfalls, they may start to blend, but you will not bore of these Australian outback waterfalls that make you feel like you’ve stepped into Crocodile Dundee. 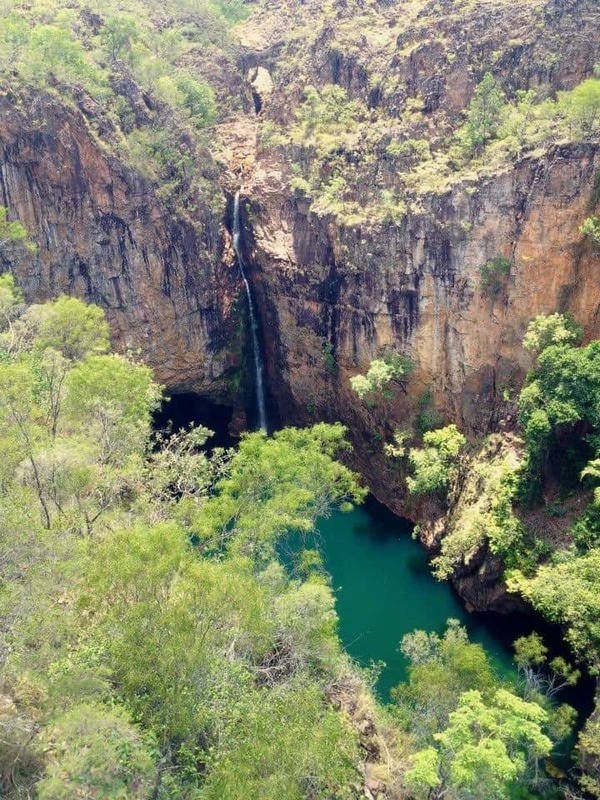 You can enjoy a swim on the wild side in the water below or climb about halfway up Wangi falls and discover a hidden plunge pool that you can jump into when the water levels are high enough. Be sure to keep an eye out for monitor lizards and crocodiles! You can arrange day tours from Darwin from Chilli’s Backpackers Hostel or the more party-oriented hostel across the street, Melaleuca on Mitchell. 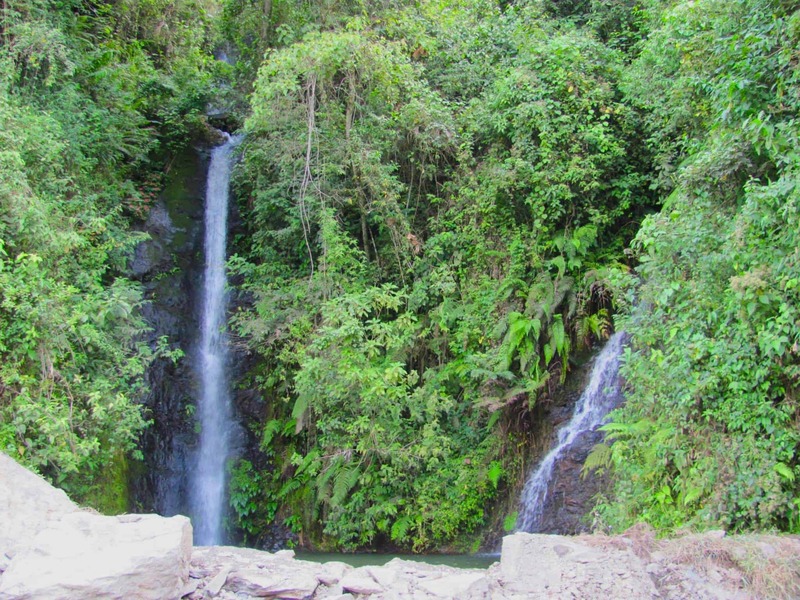 The “Tres Cascadas” are located on the outskirts of a small jungle town called Coroico in the Yungas region (90 km from La Paz). The falls themselves are relatively small, but their secluded nature will lure you in, and your soul will feel refreshed after a swim in them overlooking the grand valley. Coroico is a quaint surprise with a tiki room vibe, but with a flare of local culture and partying in the streets. 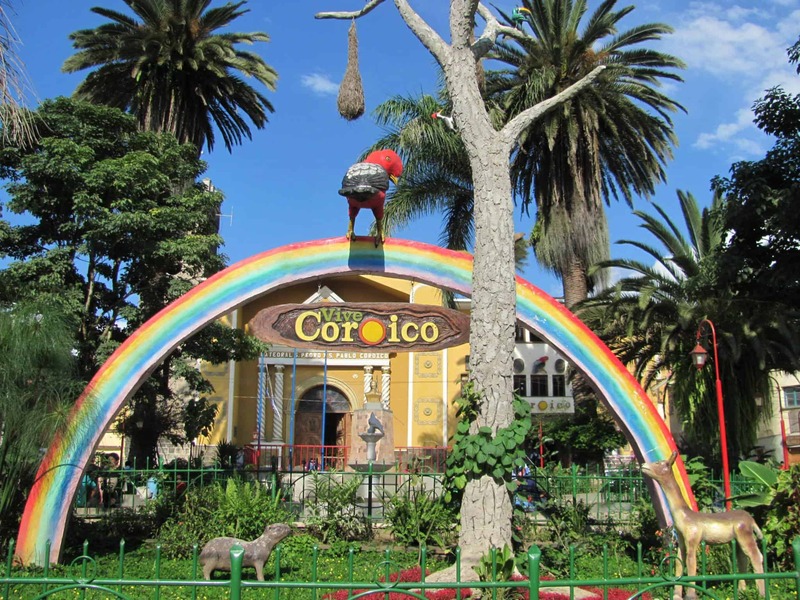 The towns’ main square will take you back in time with the traditionally dressed Bolivian women selling fruit on the cobblestone sidewalks. Start your hike from Hotel Esmeralda and head towards El Calvario and follow the stations of the cross to a small chapel. From there you take the trail on your left about 5km through some beautiful vegetation and views of the valley until you reach the first set of falls, where you can take a load off and swim. 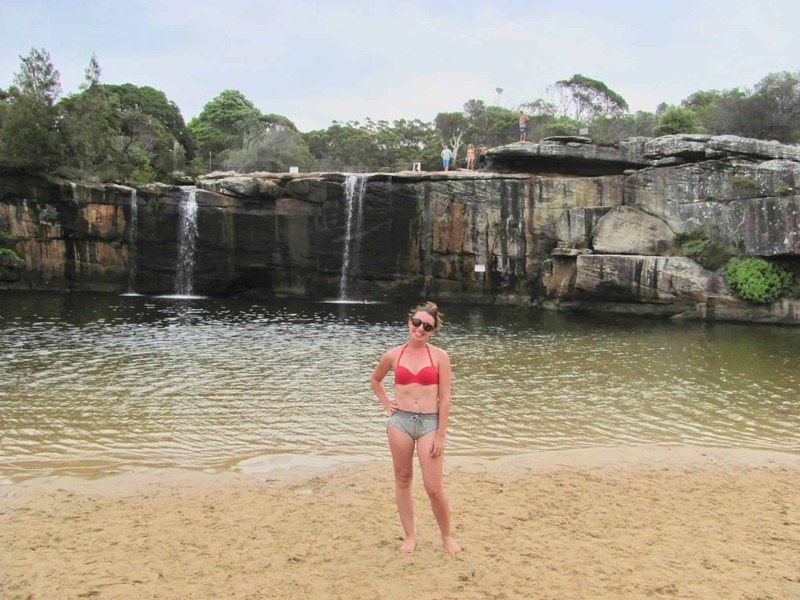 Wattamolla is a 7-meter waterfall located in the Eastern end of the Royal National Park (40 km south of Sydney CBD). These falls are unique due to their joint location with a lagoon and a beach. To reach the actual falls and climb up them to partake in some exciting cliff diving you can swim about 50km through the lagoon. There are also several memorable day hikes around the area. More impressive and secluded then the falls and lagoon is the Royal National Park Coastal Trail you can hike to reach them. Each turn will bring a more impressive view of the steep cliffs plunging out from the ocean and there are plenty of opportunities for swim breaks in the many beautiful beaches along the way. Be sure to bring plenty of water and start early to have enough time to enjoy the falls! 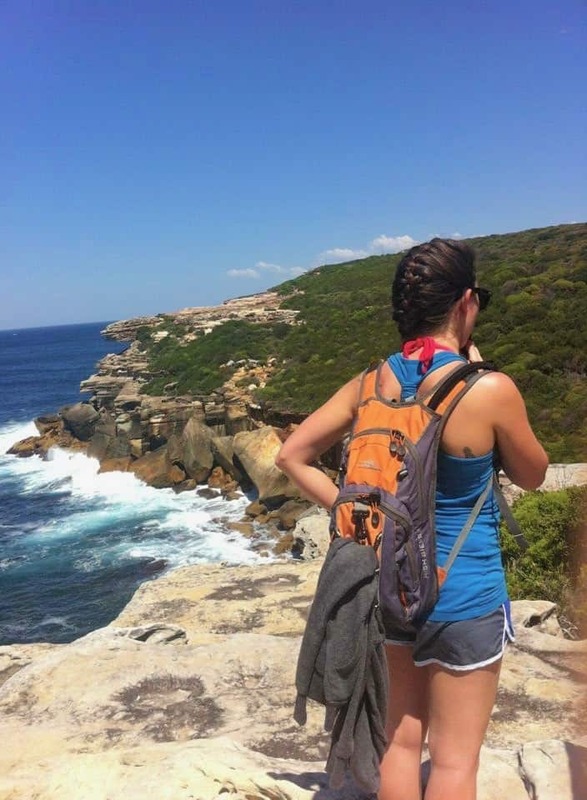 Take the train from Cronulla and then ferry to Bundeena to get to Royal National Park and then trek through the bush until you reach the coastal trail where your journey truly begins at the edge of some iconic cliffs. For those less inclined to hike, you can also drive to the picnic area from a different direction.